A Photography Permit is required for all types of posed and/or professional photography. This includes, but is not limited to: family photos, engagement photos, sweet 16 photos, and wedding photographs. Photography is permitted outdoors only. Permits are rain or shine. The fee for a photography permit is $200 for 1.5 hours. The first session starts at 11:00 AM and the last session will start at 2:00 PM. Sessions are given out on a first come first serve basis with no guarantee that the requested session will be available at the time of application. Permits may be limited on holidays and holiday weekends, or when other special events are scheduled in the park which may impact facility use. Buses require an additional permit fee of $75. Download Bus Permit Application here. All vehicles must park in the Visitors Parking Lot. Parking is not permitted on the grass or alongside any roads within the arboretum. The permittee may not obstruct or interfere with the free flow of pedestrians or vehicular traffic nor may they interfere with the use of the premises for arboretum and recreation purposes to the public. In addition, because we are a public garden, there can be no reservation of a particular area. There are no helium balloons, confetti, rice, rose petals, alcohol, or doves allowed on arboretum grounds. The permit must be carried by the permittee and be available upon request by Park Police or arboretum employees. Wedding ceremonies on the grounds of Bayard Cutting Arboretum may only be held outdoors and require a Park Use Permit. 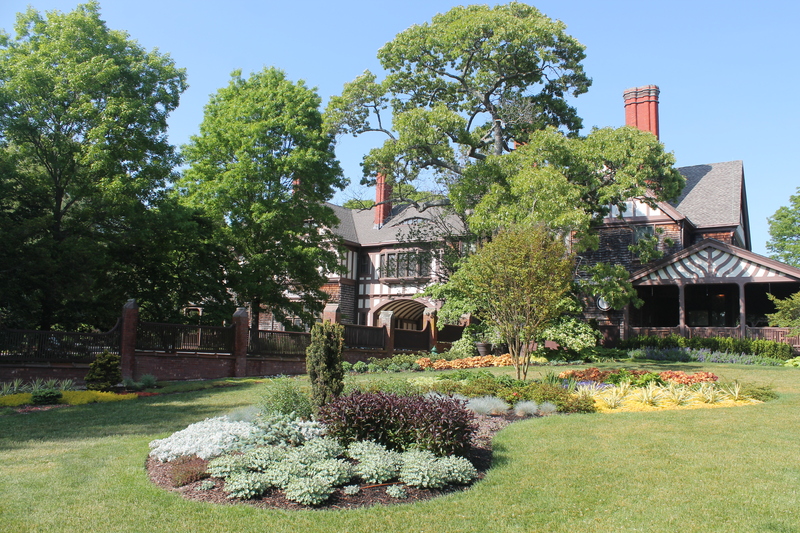 The permit can be obtained at the Bayard Cutting Arboretum’s Park Office or Long Island State Park Headquarters Permit Office (located at 625 Belmont Avenue in West Babylon – Southern State Parkway Exit 37N). The fee for a wedding permit is $200. The wedding ceremony must take place during normal arboretum open hours. Restrictions are no chairs, decorations, or obstructions of any type. Capacity is limited to approximately 20 persons. Indoor ceremonies or photographs are not permitted. Download the Wedding Application Here! If you have any questions or for more information please contact the Arboretum office at 1-631-581-1002.